At the beginning of summer, during the next vacation, my family and I decided to visit Georgia, one of the most beautiful parts of the world. Today it is very difficult to imagine your life without a car and it was immediately decided that we would hire a car in order not to embarrass ourselves during the journey with the search for transport to travel for quite long distances. Several companies have been found on the Internet. Most of them were silent on the phone, some were completely absent, someone just didn’t like the park of “old” cars. After talking with the other two, one was chosen under the name "Auto Imedi". She approached us both in the manager's professional ability to talk with the client on the phone, and in the cars available. We spent the first day of Georgia in its capital, Tbilisi. And the next day, while the family was resting in the hotel, I drove for the car. The company https://race.com.ge/en/ was in the center of the city, with a cozy office and a nice service staff, fluent in Russian and English. I was met by the same manager with whom I had previously spoken on the phone. As politely and at ease, as during the first conversation, he showed me the available cars. Despite the fact that there was a little rain, the cars were clean and inspired confidence in their technical condition. After a short inspection procedure selected by the Toyota Corolla of 2015 year with the "automatic", we proceeded to the paperwork. The rental agreement was executed, all the formalities were observed, documents were copied, photocopies were taken from my passport and driver's license, a technical passport was issued. I rented a car for 7 days, so the payment was $ 301 ($ 43 per day). But if you want to rent a car for 8-15 days, the coast will be $ 37 per 1 day. With a full package of documents right at the car with me was instructed. Daily mileage was unlimited, the manager warned that at the time of returning the car in the gas tank there should be the same amount of fuel as at the time of the check (at the time of the transfer the tank was half full), and the car had to be as clean outside as well. inside as at the time of the transfer. The whole procedure took us no more than 20 minutes. Time on vacation runs very fast, and the way back always seems faster. It's time to part with Toyota. The same manager who designed the issue was also involved in receiving the car. 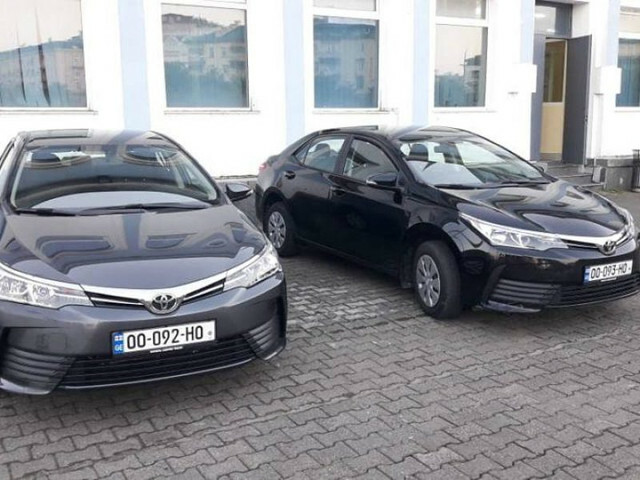 In such a pleasant way, my short but pleasant cooperation with the auto-rental company "Auto Imedi" took place and I hope that not the last, we were pleased that we chose car rental services as moving around the country. I recommend everyone to visit this beautiful country. Having been there once, you will fall in love with Georgia forever!